The continuous habitation of the area from prehistoric times until today, has left very important monuments of history, which form a continuum in development of the area and the profile of the region. As for the man-made environment and the special relationship that has traditionally benn developed between man and nature, we can say that there is an important educational significance. In the eastern Peloponnese there is a valuable network of Castles fromPalamidi in Nafplio, the Byzantine of Geraki, Mystras, the Castle ofMonemvasia, and Acrocorith. 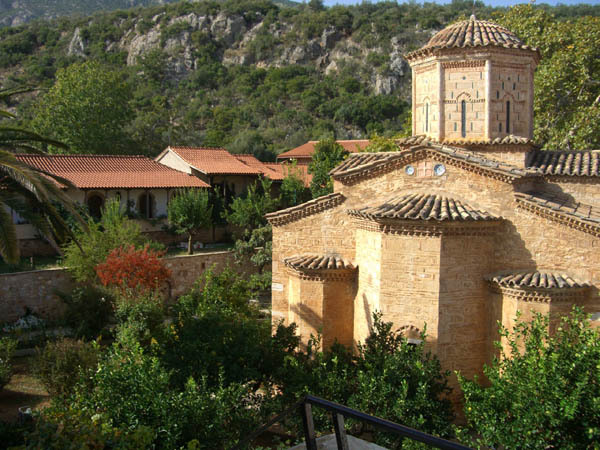 First place, between the monuments of byzantine and post-byzantine years in the region, undoubtedly holds theMystras, the famous Byzantine city, which maintained a fairly good condition of wonderful churches with unique wall decorations, the palaces of Paleologos, several traditional houses, roads, and the wall and castle of Vilardouinou. Some of the most important buildings of the newer and wider region, which have been designated as historically preserved, are the Elementary School of Kiparissi, the neo-classical monument in Astros, in which took place theSecond National Assembly, the Community Library of Kosmas, containing approximately 3.000 volumes, etc. Historically Preserved and Protected traditional villages of the area are:Paralio Astros, Agios Petros, Kato Doliana, Kastanitsa, Prastos, Platanos, Agios Andreas, Leonidio, Pragmateftis, Sapounakeika, Pera Melana, Tiros, Kounoupia, Poulithra, Vlahokerasia, Kerasia and Kosmas.